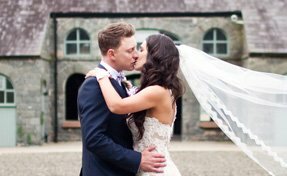 One of the most sought after wedding and event venues, convenient to Belfast and both major airports in Northern Ireland, The Carriage Rooms at Montalto still retain a privacy and seclusion that our clients appreciate. From Belfast - take the M1 and A49 to Spa Road in County Down (19.4 miles / 28 minutes). From Dublin - get on the M50, then take the M1 to A1 in Louth. Follow the A1 and B2 to Spa Road in County Down (160 km / 1 hour 42 minutes).